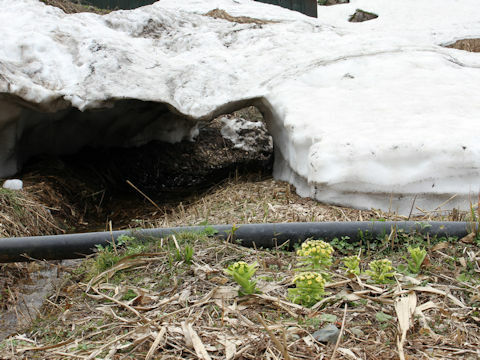 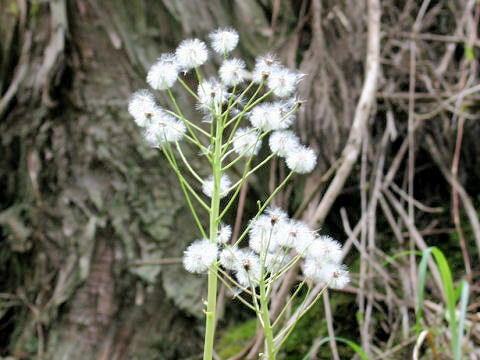 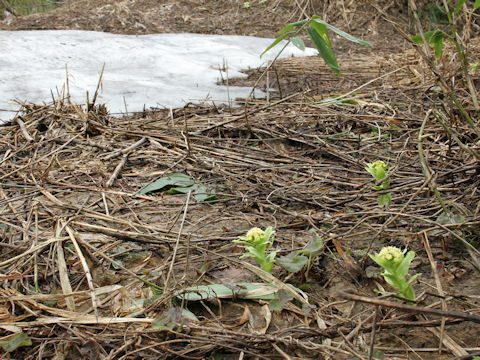 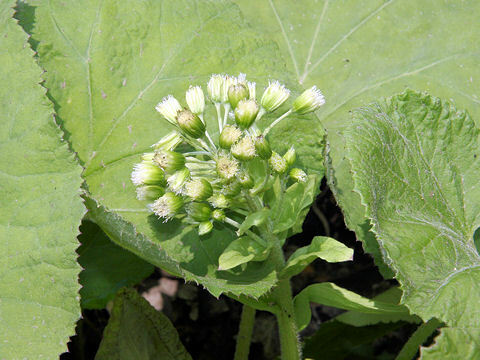 Sweet coltsfoot (Petasites japonicus) belongs to the Asteraceae (the Aster family). 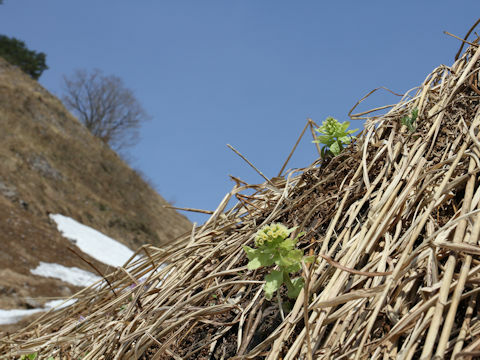 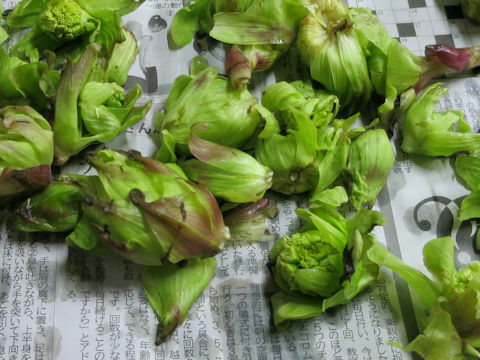 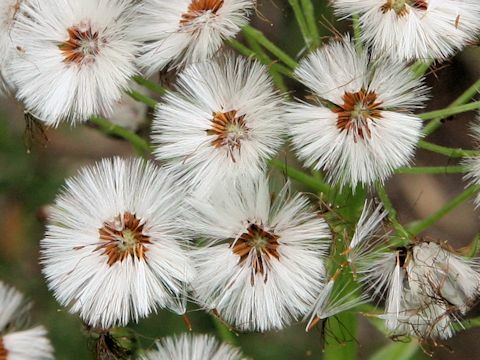 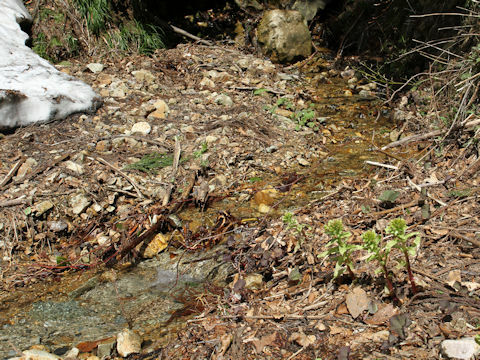 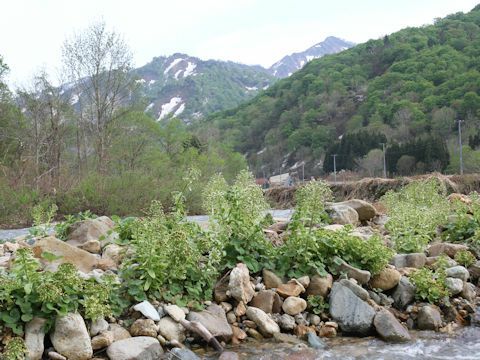 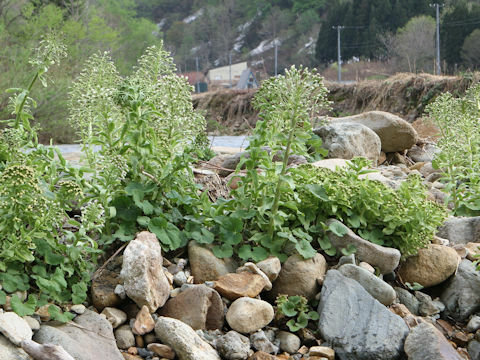 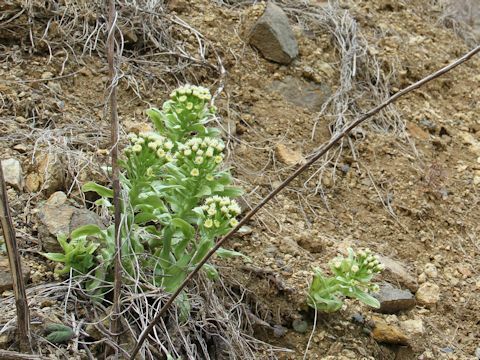 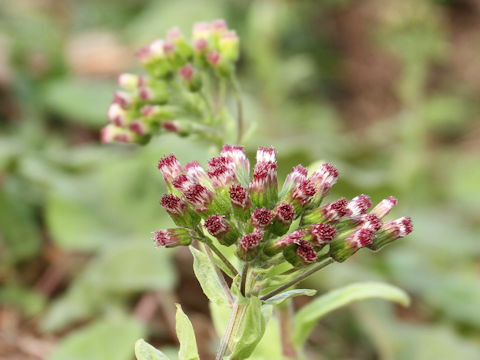 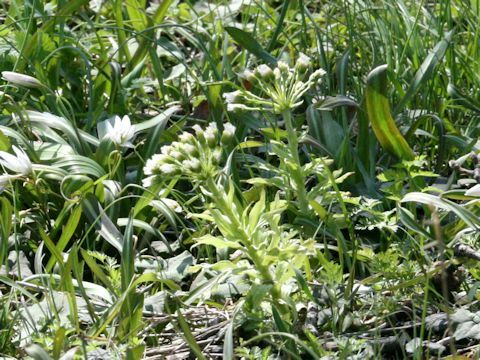 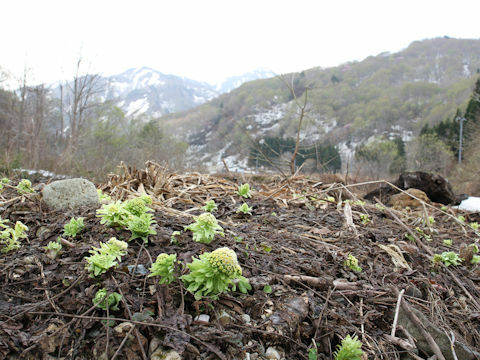 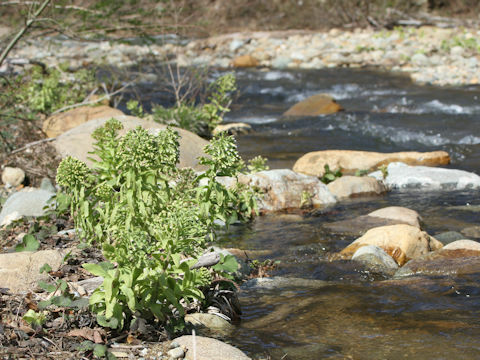 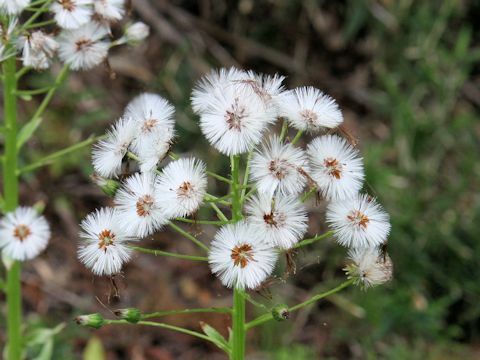 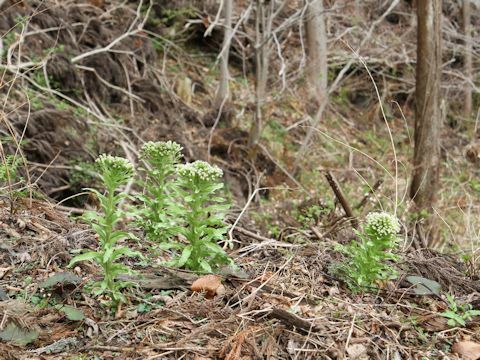 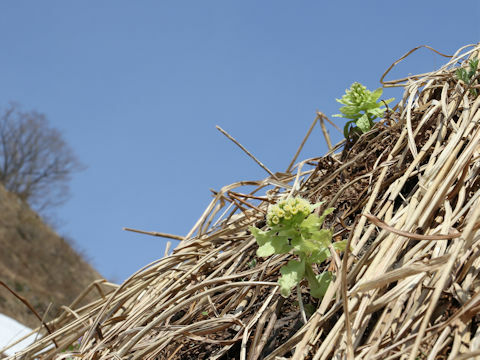 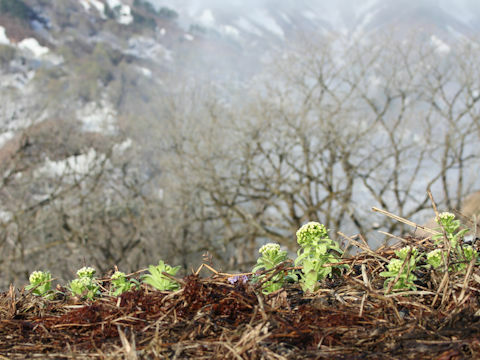 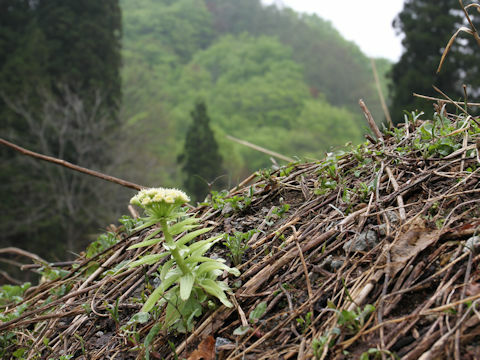 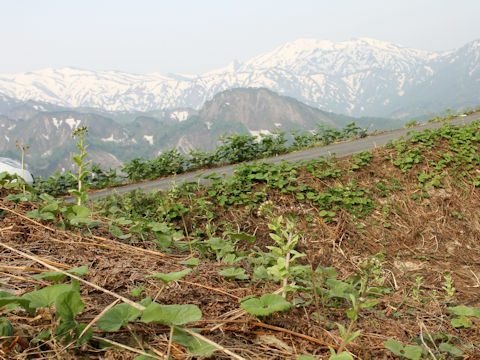 It is a perennial herb that is distributed to throughout Japan, as well as the Korean Peninsula and China. 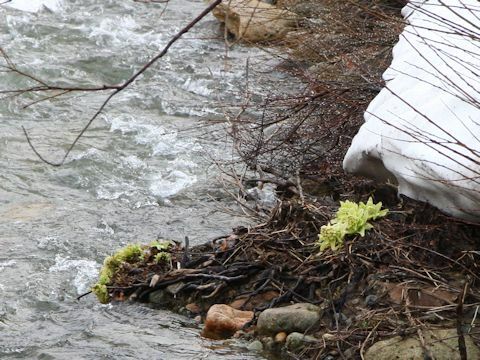 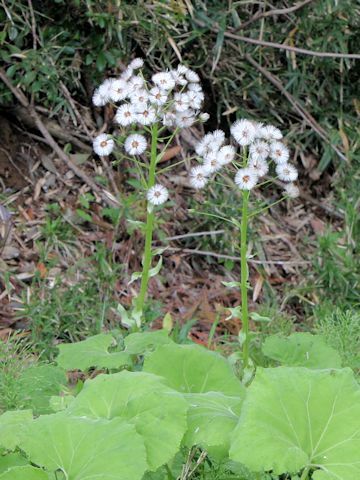 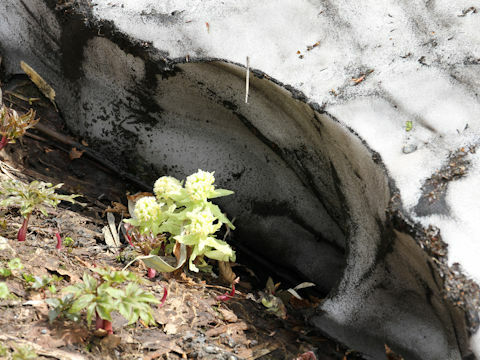 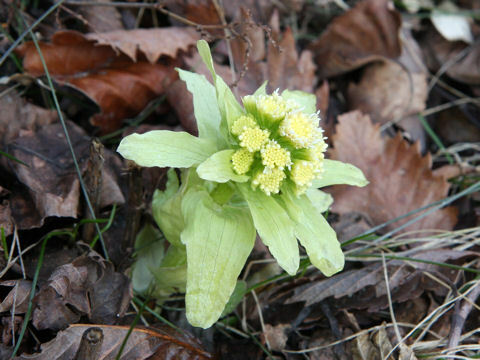 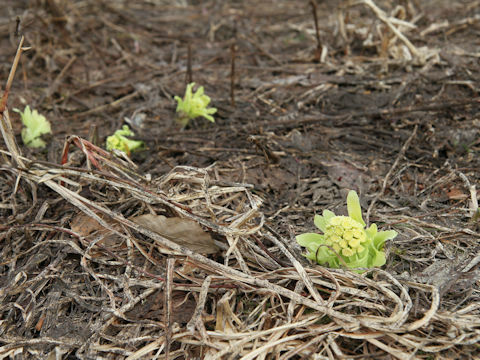 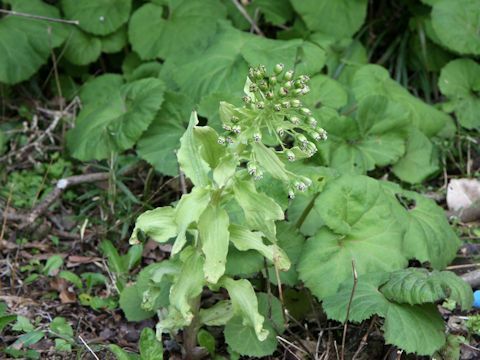 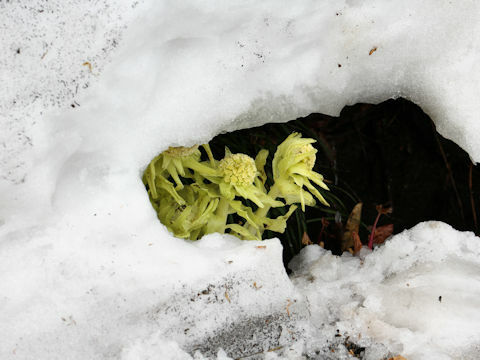 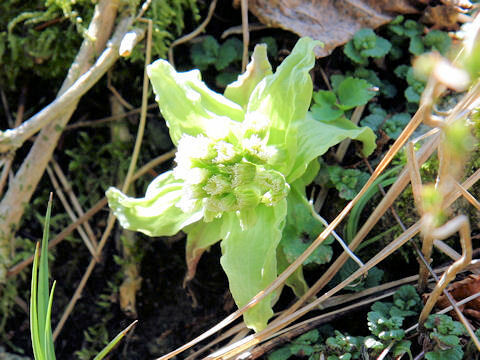 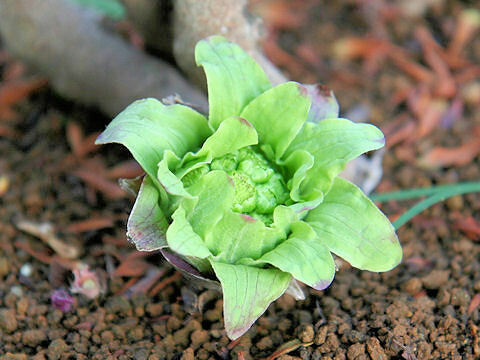 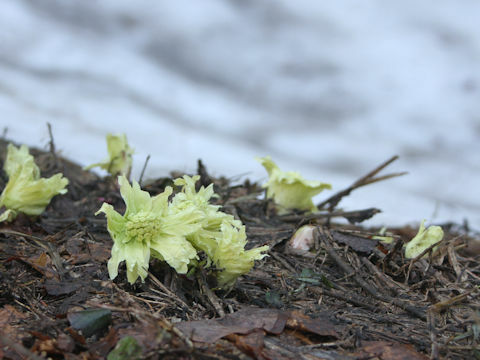 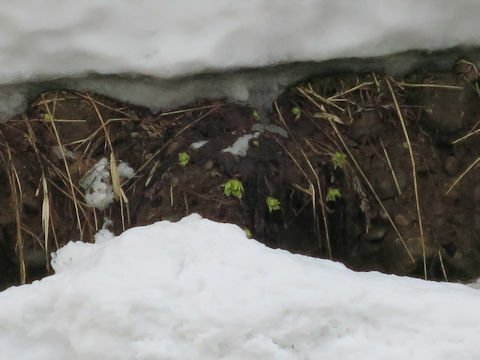 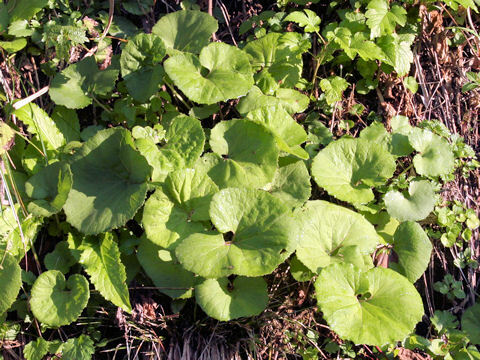 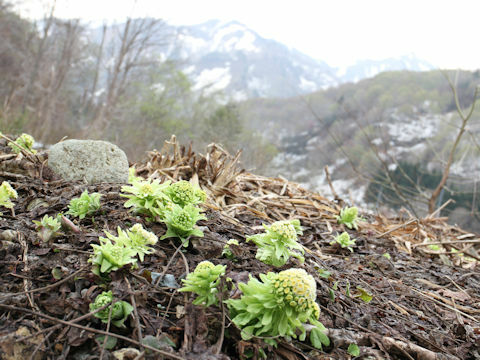 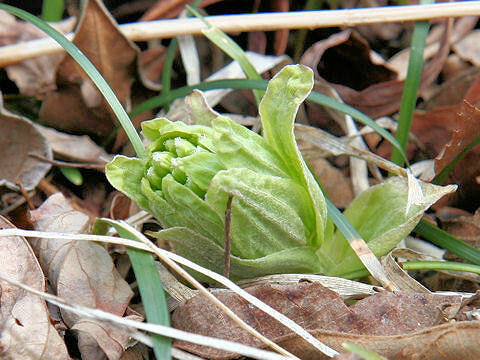 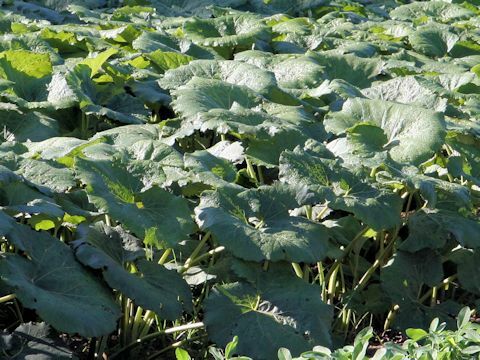 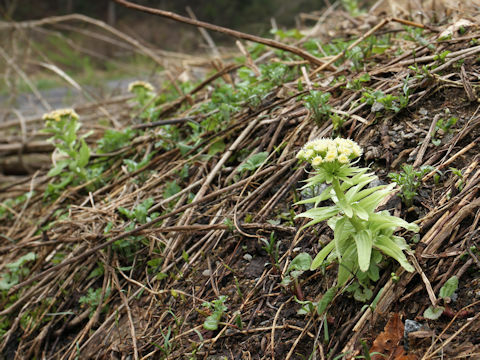 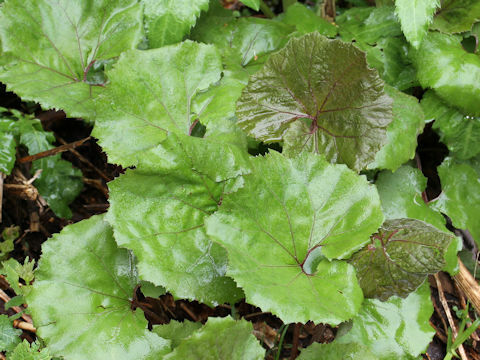 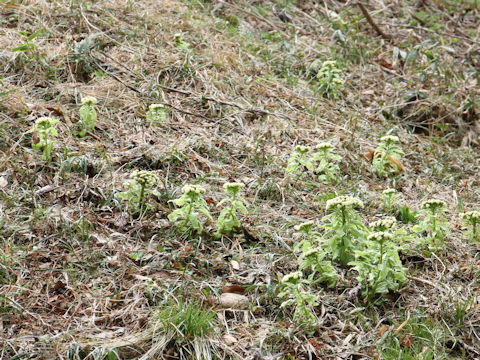 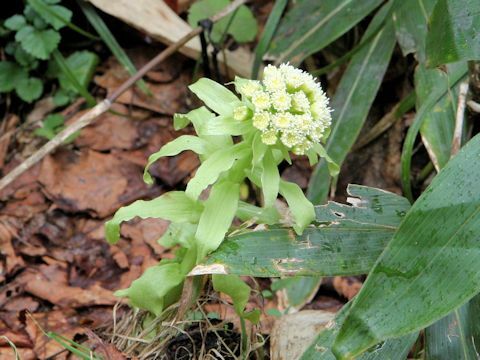 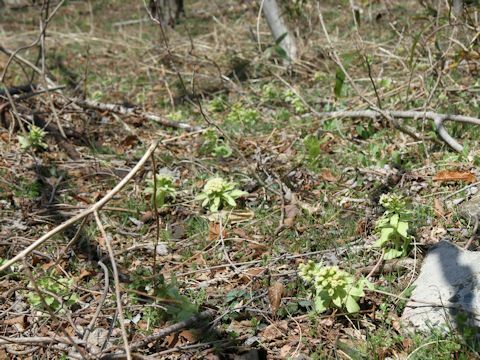 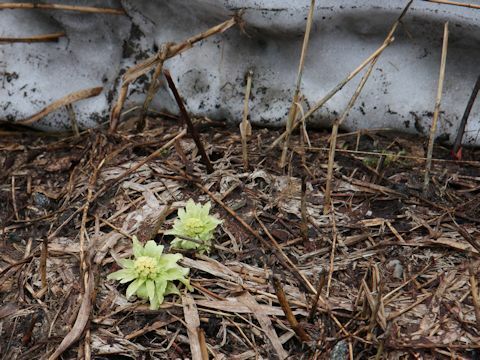 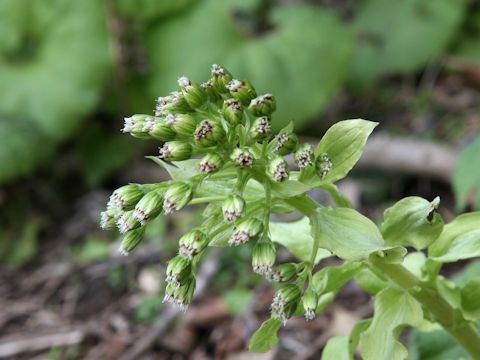 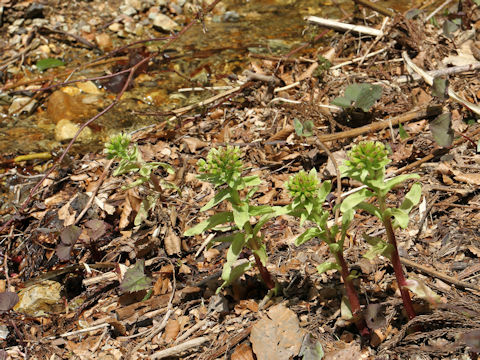 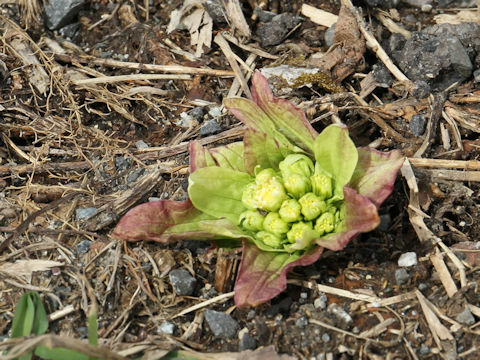 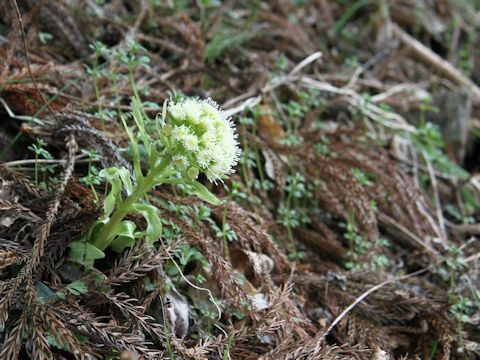 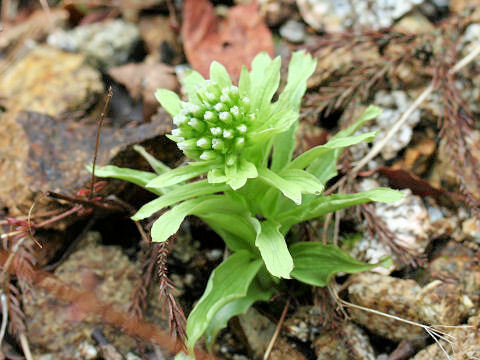 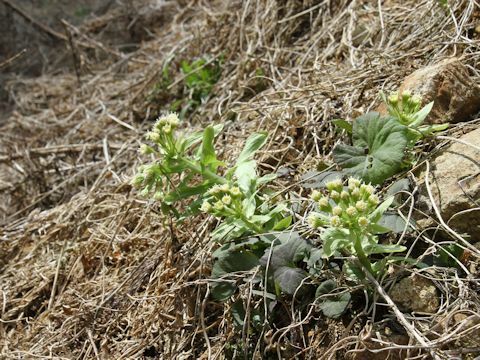 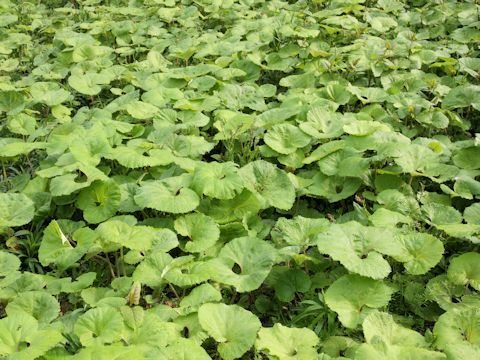 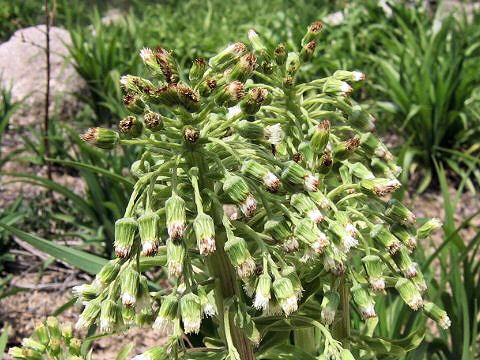 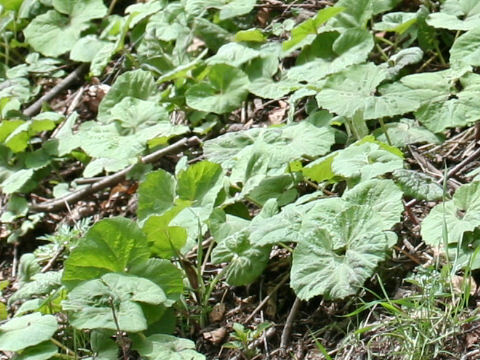 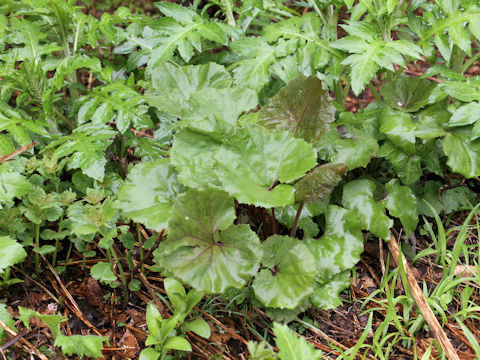 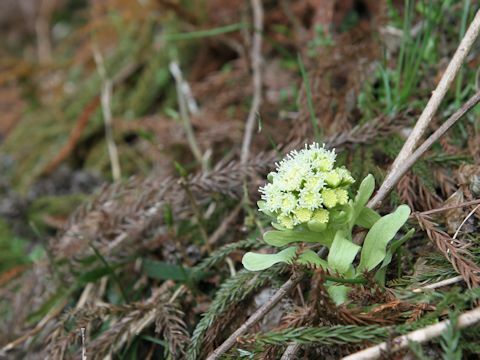 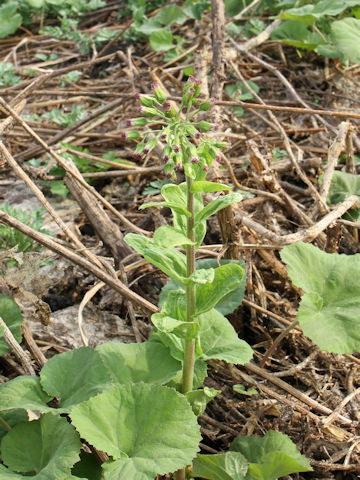 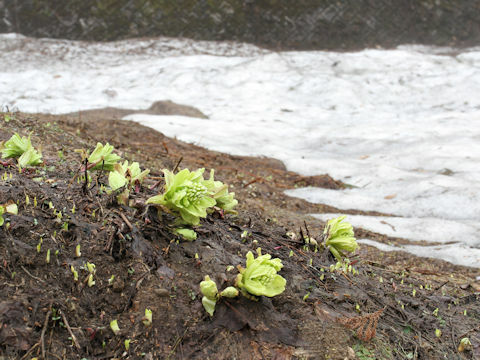 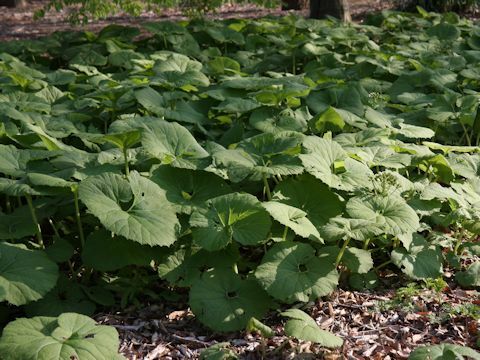 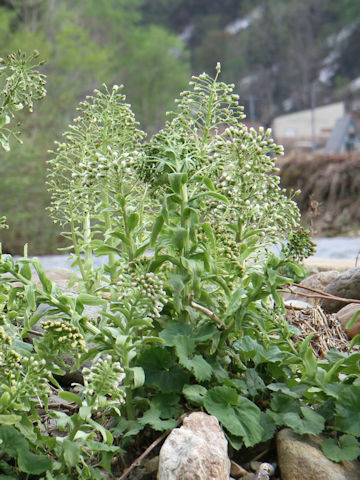 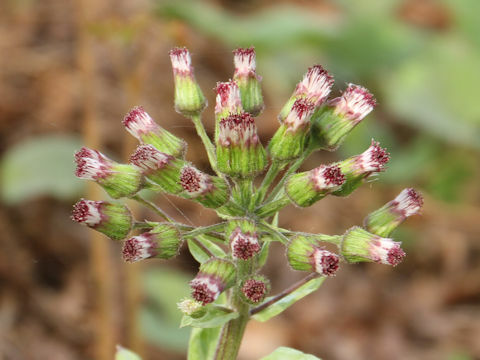 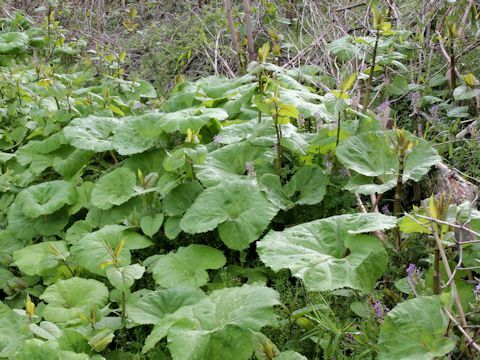 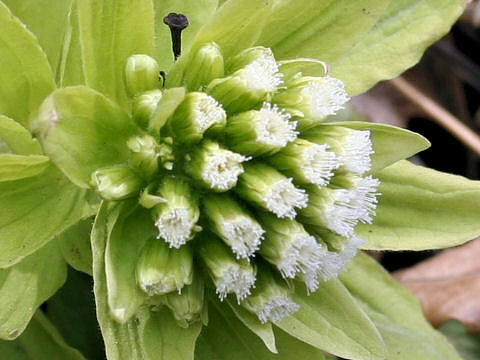 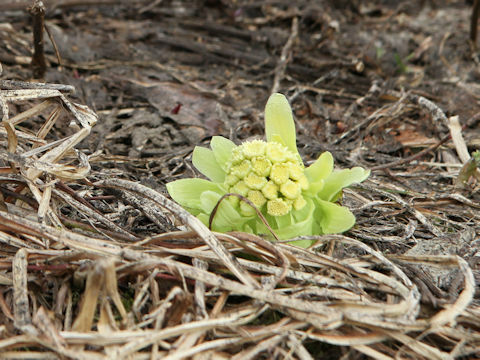 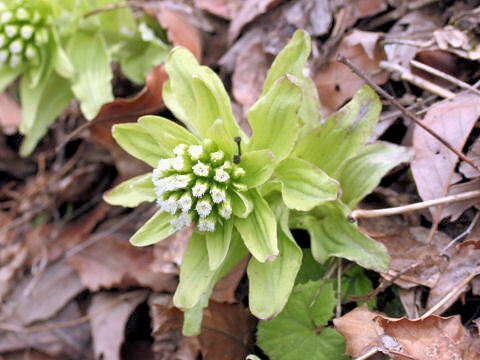 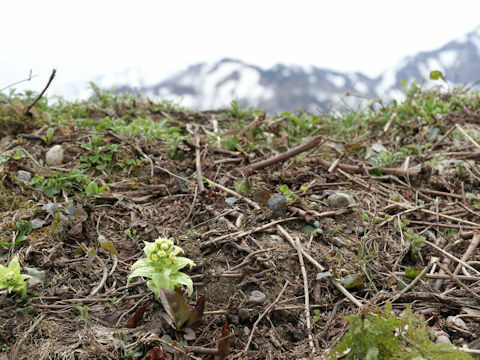 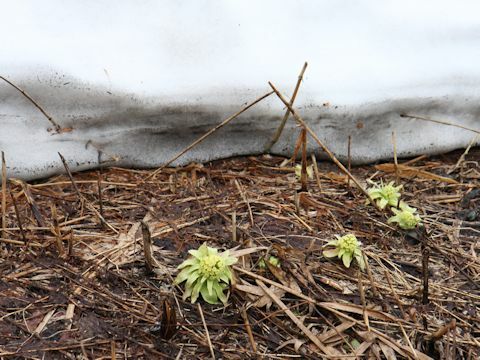 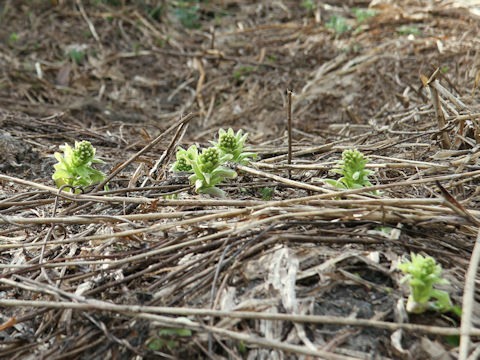 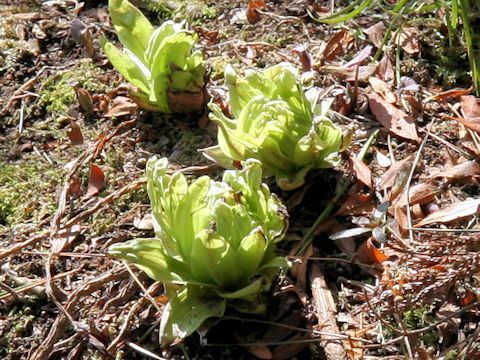 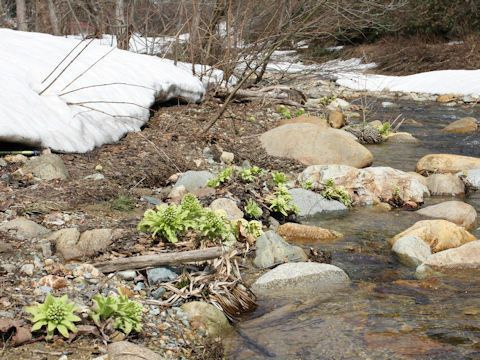 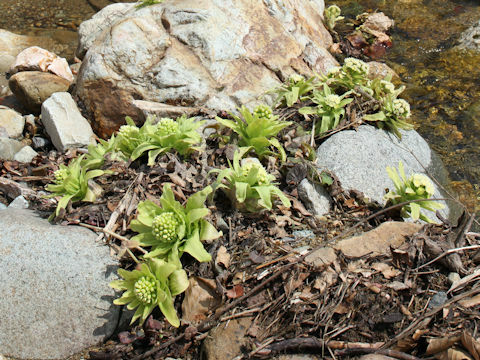 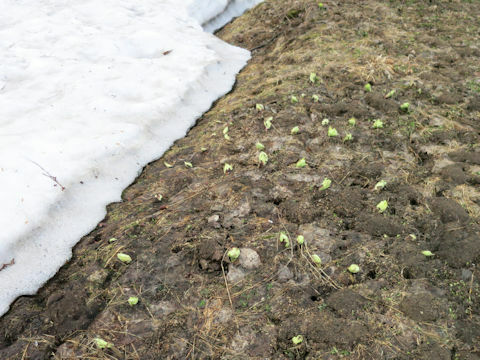 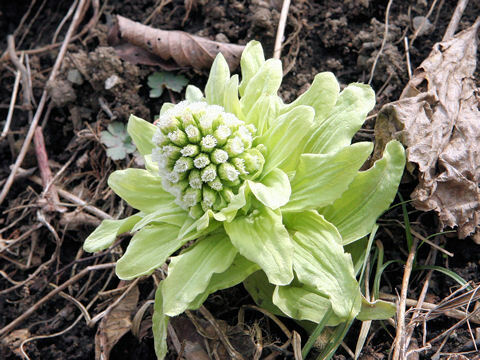 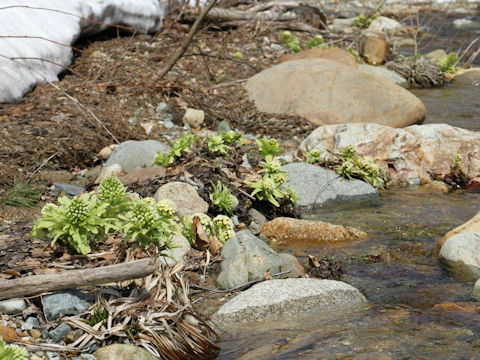 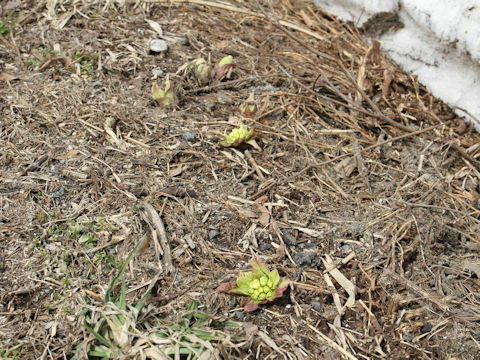 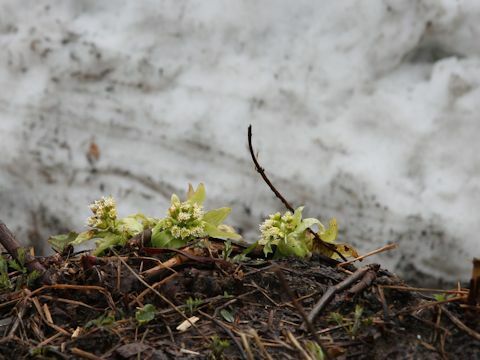 The butterbur sprout (young flower stalk) has been used for a wild vegetable in spring. 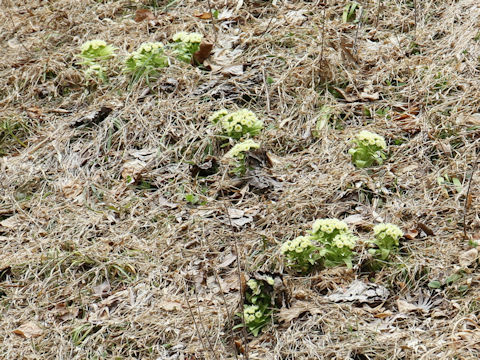 The leaves are borne on the ground after flower season. 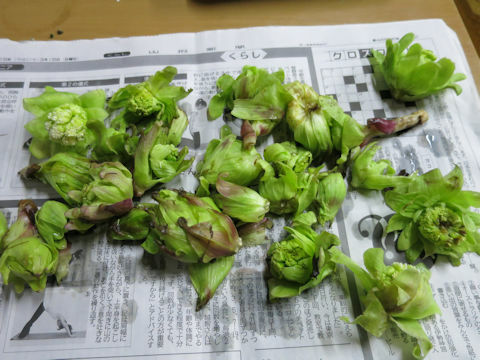 The leaf stalks are also used for Japanese cooking.